Venturi flumes are manufactured in accordance with BS3680 rectangular flumes in either stainless steel or Polypropylene to suit customer requirements. 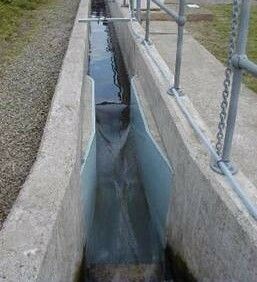 Flumes are available as complete structures with integral approach channel or as flume cheeks to retrofit into an existing channel. Available in sizes from 0.5L/s to 800L/s.